Despite the power cut the show must go on! The show did go on....! 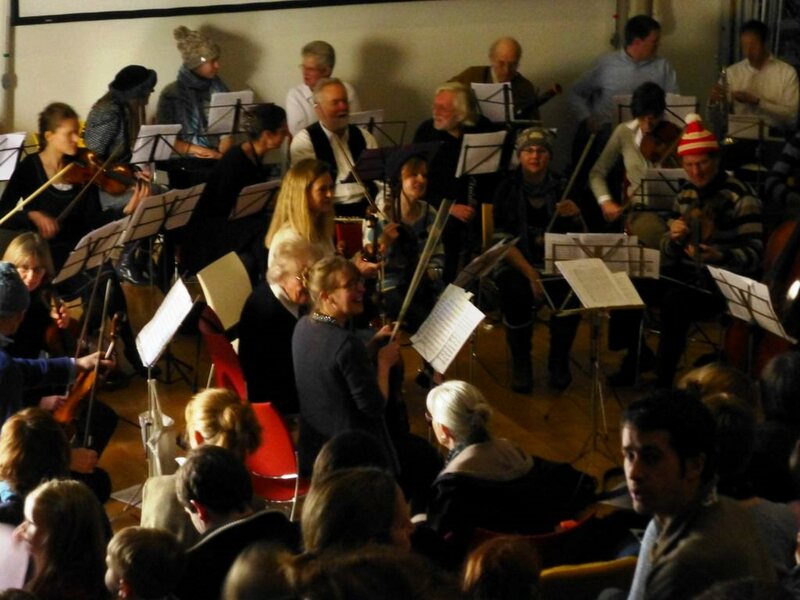 Following the success of our children's concert in the summer last year the orchestra performed another sell out concert at the Discovery centre in January. This time the theme was "Winter". Some orchestra members donned woolly hats and scarves for the occasion. The 30 minute concert was led by Sarah Noble (WCO leader) who introduced the pieces and the various instruments to the children. Pieces played included excerpts from the "Nutcracker Suite", the "Sleigh ride" and "Let it Snow". The children joined in with shakers and tambourines. The concert was nearly cancelled due to a power cut 20 minutes before the performance. However, thanks to the adaptability of the staff at the discovery centre the show did go on!! Sadly, the electric keyboard that was to be used for the "dance of the sugar plum fairy" was a casualty of the power cut, but, very heroically, Sarah Heard stepped in and played the sugar plum fairy part on her flute - a true testament to the quality and flexibility of the orchestra! Following the concert, the children were able to try out child sized instruments provided by Hampshire Music at stations around the library.